IVF isn’t a gamble. We’re using the best medical science we can to try and have a family. Thank you for your apology to thousands of families going through IVF after your ill-informed segment on June 16. But as you've probably gathered from the 10,000 or so signatures calling on you to say sorry, a hollow, scripted few words isn't enough. You told the audience you had six children between you so you could "empathise". How could you possibly? Your comments suggesting Aussie couples are simply "gambling" when they go through round after round of IVF are not only hurtful, they're plain wrong. And clearly you don't understand the hurt they've caused. 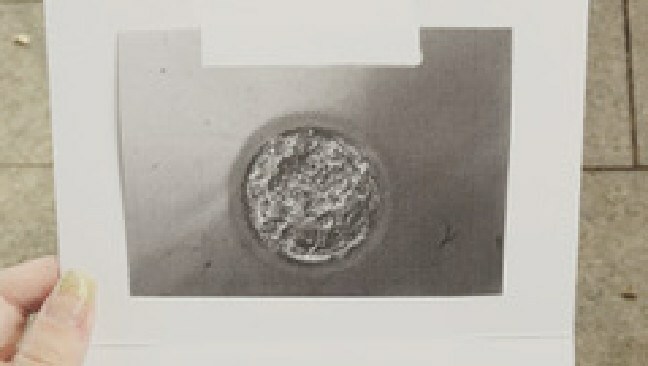 If you had done your research, you would know that the national average for successful IVF cycles is eight. Yes, most Australians going through IVF endure eight fresh cycles according to the National Perinatal Epidemiology and Statistics Unit (NPESU). The lucky ones may come in under and for others those numbers keep climbing. With each cycle your chance of conception does not lessen. In fact, the more cycles you do the more likely you are to have success. This is because IVF is still a new technology and so much of it is still not understood. With each cycle you learn a little more about how your body reacts to the medication, and process, and the technique is finetuned to suit each individual. We’re going for round five. Yes, it’s painful and expensive, but it’s not my fault I’m going through this. And people shouldn’t be judged for how many rounds of IVF they endure. IVF is not a one-size-fits-all. 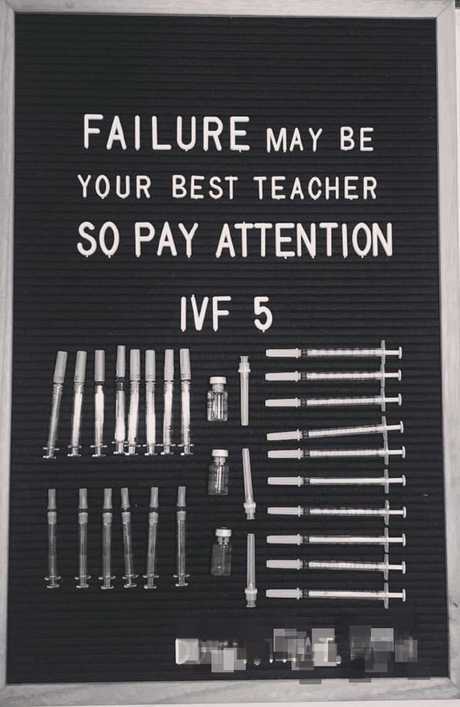 And not all IVF doctors are equal in their skill sets. Unfortunately, people with complicated conditions can take longer to have the puzzle pieces put into order. People do not doctor shop. We aren't chasing highs. Sometimes a specialist does not have the confidence, knowledge or resources to help a patient. Nobody wants to do IVF. Nobody wants to jab themselves with endless needles and take handfuls of medications. No one wants to spend their time feeling sick, hot, vomiting, in extreme exhaustion or crying their eyes out from whatever horrible side effect they're enduring from their treatment. No one gets excited about the invasive tests and surgeries needed (whether egg retrieval, tube removal - due to damage, endometriosis removal or D&Cs when their dreams are shattered in the most horrific way). No part of IVF is addictive. Nobody wants to stand in our shoes. I wouldn't wish IVF on my worst enemy. Ten cycles should not be shamed nor compared to gambling. I cannot imagine what the poor couple endured over that time. But you can bet your bottom dollar their dreams didn't end with being mocked on national television for putting their heart and soul in to trying to build their family. No one tells you how to spend your money, so how dare you try to tell a person how much they can spend, out of their own pocket, fighting their diagnosed medical condition? I can assure you that most people going through IVF are not impacted by stress - well, not as a reason for their fertility issues. They are impacted by diagnosed medical conditions, such as having previously been through cancer treatment, immune disorders, endometriosis, PCOS, low sperm count. The list goes on. And a hell of a lot of the patients are not of "advanced age". I am not doing IVF because I want to. I am not of advanced age and stress is not the cause of my infertility. 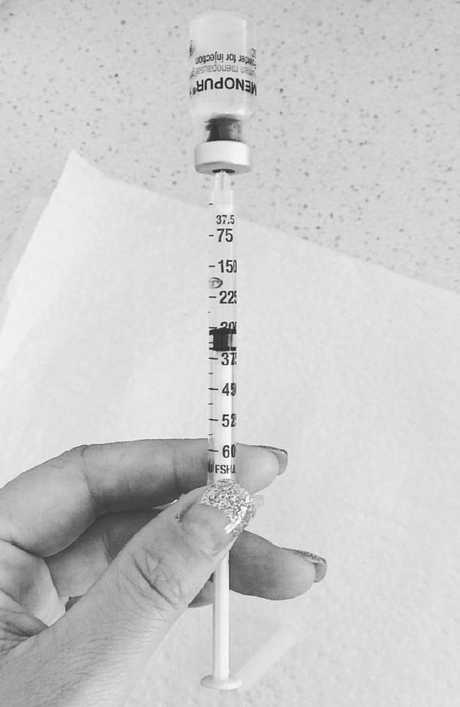 I didn’t ask to be regularly injecting myself with IVF drugs. We started trying for our family at 29. I was healthy, fit and a non-smoker. I also didn't drink. I was a picture of health. A year later we were sitting in a specialist's office trying to figure out our next steps. It was not my fault that internally I was riddled with endometriosis. Nor that our first doctor misdiagnosed us and allowed us to go through three fresh cycles with the wrong treatment. How would you "put a number" on how many treatments people like me can go through, when our treatment is only as good as the doctor we see and there is little to help us select a "good one"? And I promise you it is not my dear friend's fault that she has endured many miscarriages. It is certainly not "nature's way". Again, infertility is a disease, and a cruel one at that. You would never call a person going through radiation therapy a gambler. A person who's gambling for a shot at life? Sounds sick when you pose it that way doesn't it? If you are not going to educate it's best you don't say anything at all. It is hard enough trying to advocate for ourselves. The stigma we endure is huge. We are mocked because we are apparently "burdens" on the health care system - even though, like you said, the costs we incur are huge. We are told that it is nature's, or God's, way by people who have no clue about what we suffer. People tell us to reduce our stress, eat better, try some funky herbal supplement or meditation because they think that will help. None of those are going to cure my endometriosis and fix the damage it has done. But luckily there are doctors out there who can try different techniques, put their heart and soul in to our treatment and stand by our side for one of the most painful battles one can endure in life. We put our bodies, our hearts and our souls on the line for the chance to make a family. We are not gamblers. We are warriors. And we will do whatever it takes to build our families and end the stigma. So, people going through one of the most painful things one can endure can breathe a little easier knowing their pain and suffering is acknowledged for what it is and not mocked on national television. Please, next time you do a segment on something so intensely personal and difficult for people going through it, just make a phone call to the specialists first? You'll save thousands of Australians like me from the ignorant comments, those that cause us so much pain.